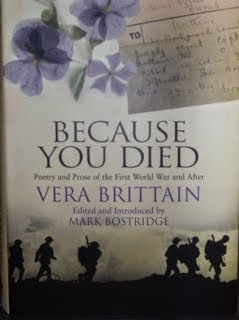 Two really beautiful poems here Lyn, and there is such wrenching sadness in the second verse of Vera's poem; it's almost unbearable to read, with the knowledge of what was to come for them. I really like the title Because You Died, and the poignant cover. Haven't got round to reading it yet, but your post has jogged my memory and brought it to the top of the list. You're welcome, Jane. So much beautiful poetry came out of the war, written by women & men, I never get tired of rereading it, even though the sadness can be overwhelming. I must find "Because you died" (great title), I loved Testament of Youth and Testament of Experience. 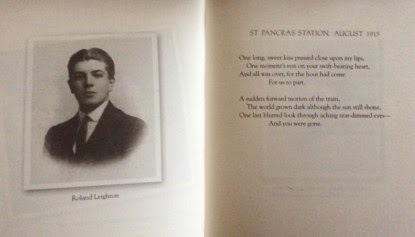 It's a lovely book, mostly Vera's poems, but beautifully produced with lots of photos. Definitely worth looking for if you loved TOY.